Santa will have a pretty easy job this year because there’s only one thing on our Christmas lists – a beauty advent calendar. From luxe lipsticks to the best eye cream in town, you’re set to get the finest of beauty products on the market for a price you just can’t say no to! There’s no denying that the calendars are always one of the beauty world’s most hotly anticipated launches, often selling out as early as November and garnering lengthy waiting lists, but this year’s selection have exceeded all expectation. So, if you want to get your hands on one of these merry offerings (and believe us, you do), check out our round up of the best beauty advent calendars for the 2018 holiday season. Anyone who has ever set foot inside the iconic department store knows how easily you can lose yourself in its wonders from the chocolate room to its impressive beauty hall full of glossy designer brands, all-time favourites as well as the more curious creations from cult brands – a taste of which can be found in this advent calendar. The crème de la crème of advent calendars, the Jo Malone offering is packed to the brim with cult classics like Lime Basil & Mandarin Cologne, as well as brad new Christmas goodies such as a mini Frosted Cherry & Clove Candle. We predict a sell-out… again! 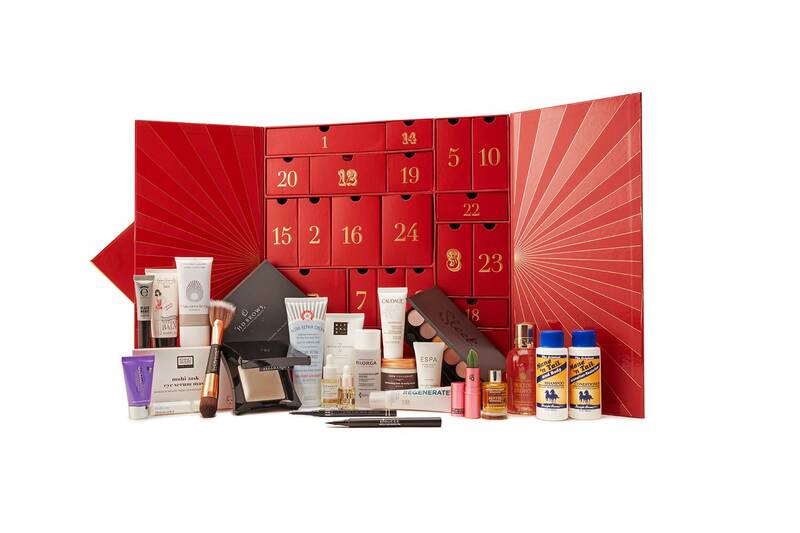 A daily treat for even the most discerning beauty junkie, this jam packed calendar has makeup from Eyeko, Lipstick Queen and Illamasqua, skincare from Glamglow, Filorga and Emma Hardie, bodycare from Aromatherapy Associates and This Works and haircare from Percy & Reed and Mane and Tail. And that’s just for starters.